Natural Fiber with versatile performance: Bamboo rayon is a kind of cellulosic fiber extracted from natural materials-bamboo. It is featured with good air permeability, instant water-absorbing, great durability and stable dyeing property. Contour Pouch Design: The 3D pouch can make your package more comfortable without any sticky; While flat locked stitching creates a virtually seamless feel in sensitive areas. No-Roll Waistband: Features a about 1-inch logo detailed no-roll waistband with comfortable, high stretch elastic. None Bunch Up:The appropriate leg length can avoid riding up. The legs will always stay down, for added comfy. 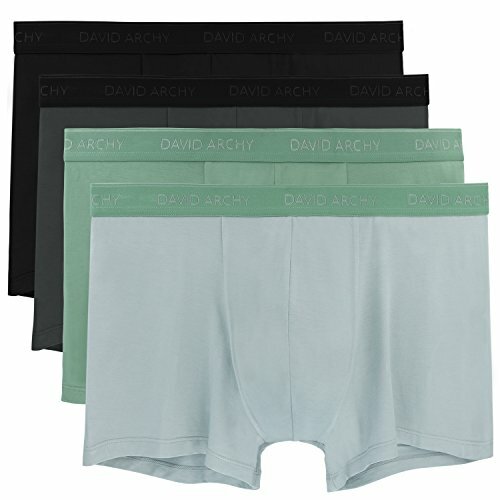 Friction Free Sewing: Minimize the friction of seams to your skin making men's boxer briefs smooth and soft.